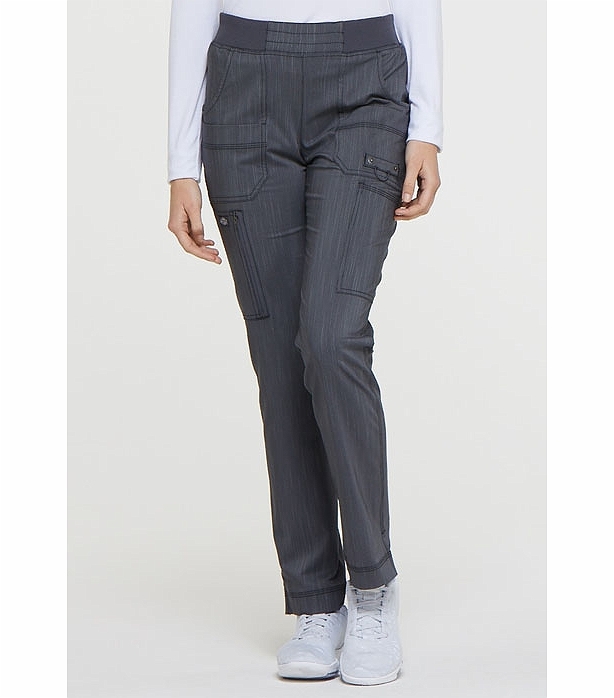 The Two Tone Twist DK165 Tapered Leg Scrub Pants from the wildly popular Dickies Advance collection is one of the coolest pairs of scrub pants you'll find. Don't you wish sometimes that you could wear jeans to work every day? If you do (and who doesn't? ), then try these denim-style scrub bottoms; you're sure to love them! They're awesomely cool, and fabulously functional, too. 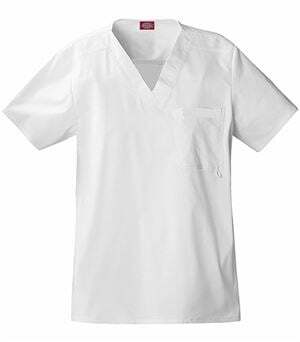 These scrub pants are also famous for featuring eight pockets, for loads and loads of space to store all of your medical instruments and personal accessories. No more running back and forth when you're hands are full and you're out of pocket space; now, you'll finally be able to keep everything on hand. 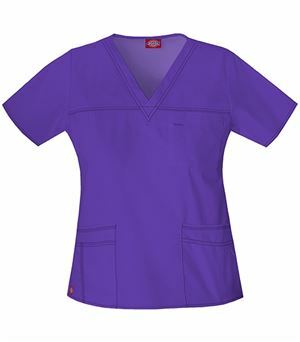 These nursing uniform pants were created with keen attention to detail, from the stylish yet comfortable elastic waistband down to the tapered legs with stylish dark stitching at the bottom. 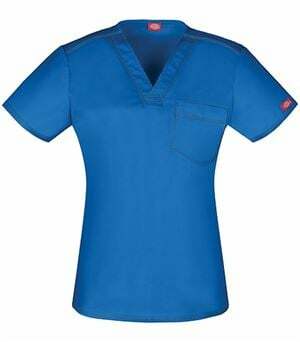 They are crafted from a supremely comfortable and durable fabric, for a remarkable wearing experience.